Vivo has scheduled a launch event in India on July 19 and it might be the Vivo Nex S. The company has sent media invites suggesting the Vivo Nex S India launch. 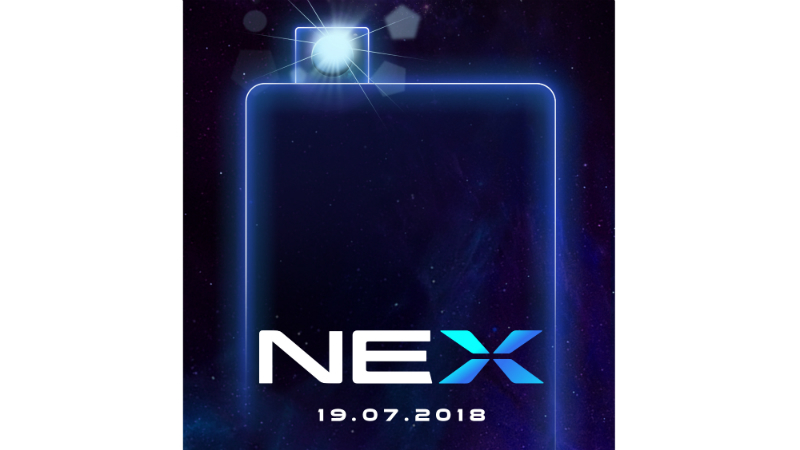 The official invite shows a smartphone with a pop-up selfie camera, however, it is unclear whether the company will launch both the Nex models here. To recall, Vivo launched two smartphones with a pop-up selfie camera in its Nex series dubbed as Nex S and Nex A in China. The smartphones got the attention because of its unusual pop-up camera system which also brings a 91.24% screen-to-body ratio. Apart from the pop-up camera, other highlights of the smartphones are- in-display fingerprint sensor, Snapdragon 845, Jovi AI assistant and 256GB of storage. Vivo Nex S India pricing and availability isn’t known at the moment. The Vivo Nex A is priced at CNY 3,898 (Rs. 40,400 approx.) for 6GB RAM and 128GB storage model in China. While the Vivo Nex S with 8GB RAM and 128GB storage costs CNY 4,498 (Rs. 47,000 approx.) there. Also, there is an 8GB RAM and 256GB storage version of Nex S, that is priced at CNY 4,998 (Rs. 52,000 roughly). Both the Vivo Nex S and Nex A feature a 6.59-inch FHD+ (1080×2316 pixels) Super AMOLED display with a 19.3:9 aspect ratio. They both run FuntouchOS 4.0 on top of Android 8.1 Oreo and pack a 4000mAh battery. The highlight of both Nex S and Nex A is the pop-up camera system that is an 8MP sensor. The camera elevates from the body using a spring-loaded motor. They both also have a dual rear camera setup with a 12MP primary sensor with four-axis OIS and a 5MP secondary sensor. 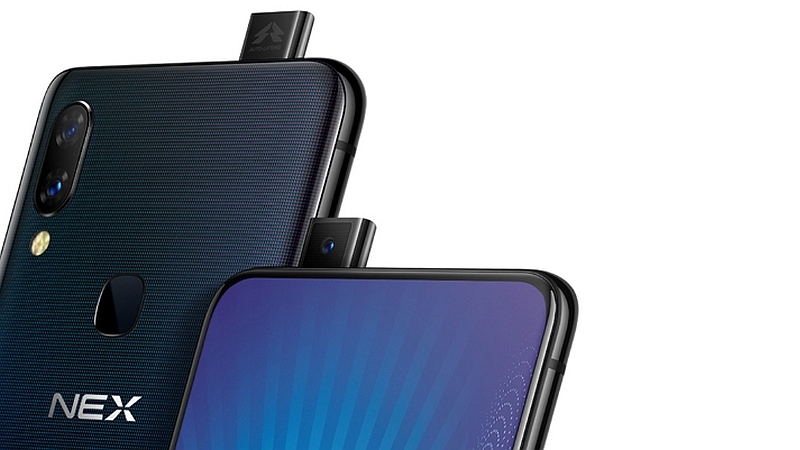 Vivo Nex S is powered by a Snapdragon 845 SoC, mated with 8GB of RAM and 128GB/256GB of storage options. While Vivo Nex A has the Qualcomm Snapdragon 710 chipset coupled with 6GB of RAM. It has 128GB of internal storage only. The dual-SIM smartphones have 4G LTE, dual-band Wi-Fi, Bluetooth v5.0, GPS/ A-GPS, and USB 2.0 port as connectivity options. They come in Black and Red colour options, however, the 256GB storage variant comes in Black colour only.